Today's mani combines two of my Butter London favorites, Marrow and Shambolic. 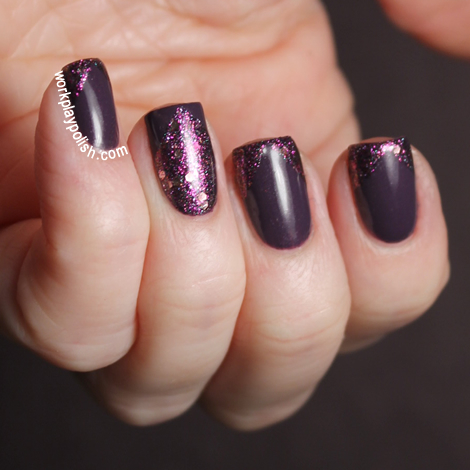 Marrow is a dark purple with silver shimmer from the Fall 2010 Collection. 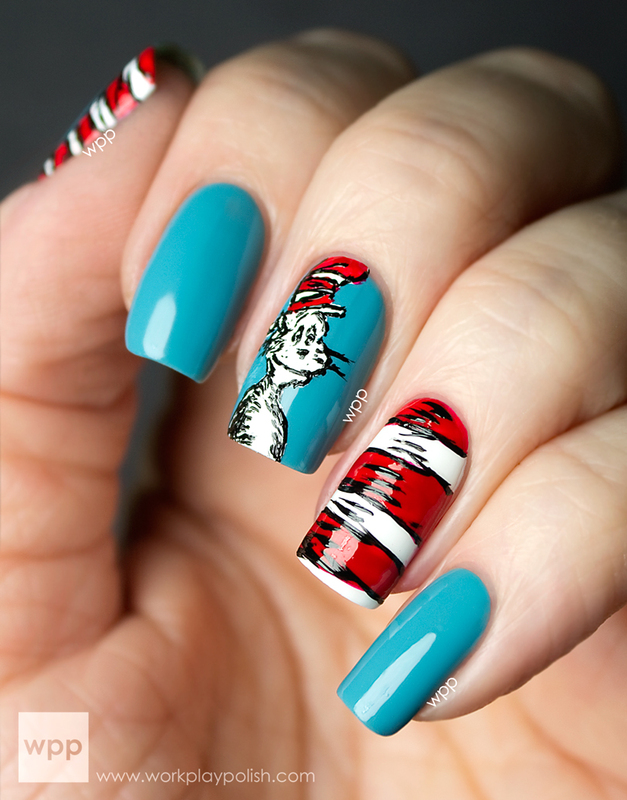 Shambolic is from the latest 2012 Holiday Collection and it's a very complex polish. 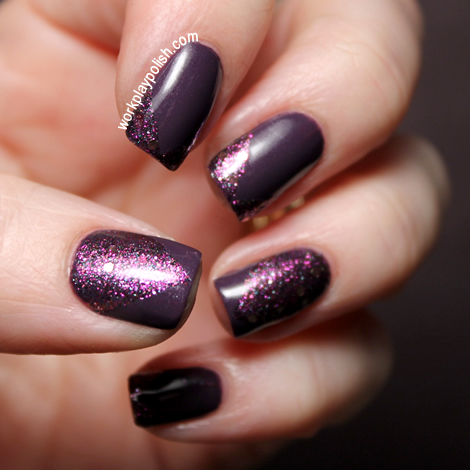 It has ultrafine glitter in dark purple, pink, silver (? ), maybe gold (? ), maybe blue (??) and larger hexes in silver and purple. The sparkle may even have some holo in it. Whatever it is...I like it. I used tape to create this look. I started with two coats of Marrow. For my ring finger and thumb, I taped off the corners. For the remaining nails, I taped off the nail, leaving the tips exposed. Then I polished one generous coat of Shambolic. 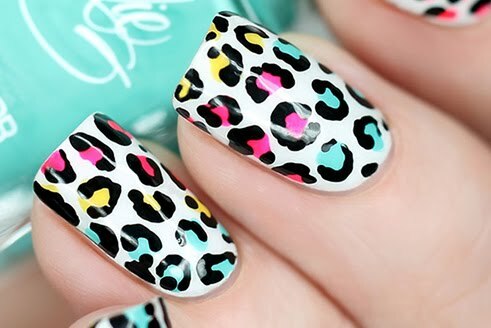 I've yet to do a mani with Shambolic on its own, but I bet it would be awesome. I'll have to put that on my list!